Moving from one location to another is complicated and stressful for most people. Businesses and even homeowners will agree to the complications that could arise when trying to do the literal heavy lifting of items. If you don’t want to deal with the headaches found with this, you’ll want to look into hiring a company to help. The process may be simple, but you’ll want to learn how to ensure your furniture doesn’t get damaged by your furniture removal company, for added peace of mind. Start off by buying or borrowing protective material, this could include bubble wrap, blankets and duct tape. Next one should wrap your furniture in plastic sheeting. 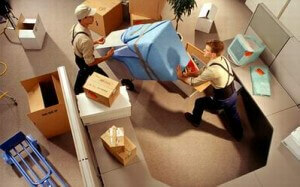 Wrapping furniture completely and thoroughly will form a shrink wrapping that will allow for easier transport. Otherwise, your items may move in the truck or could get damaged when going through doorways, down hallways, or in tight spaces. This process is not complicated, or difficult and can ensure added protection to your belongings. Another method that you can utilise is to cover your furniture with blankets, and then tie them down. The blankets will protect the edges, and if you tie everything down in place, picking up and moving around heavy items will be easy for whomever you hire to do the physical labor. When you are shopping around for a furniture removal company, make absolute sure that they are licensed, bonded, and insured. This is the only way, outside of doing the aforementioned, to guarantee that your furniture is taken care of, in case anything goes awry. If nothing else, you will gain peace of mind. Even if your moving company promises careful furniture removal, accidents still happen. A way to further protect your possessions is through transit insurance.